I don’t know about you, but I always get stuck in a routine for work. I make the same old lunches, week in, week out. And I think it’s the same for a lot of people. After all, it can be a challenge to think of new ideas that will rock your world. And at the same time, will keep you healthy and full until dinner. Therefore, here are some healthy and delicious ideas to make lunchtime enjoyable again. A salad is often a healthy choice if you are looking for something tasty for your lunch. But a plain chicken salad can get boring after a few days. To make it more interesting, you should add some type of fruit. Some juicy berries will tickle your taste buds and give the salad some extra flavor. And as well as this, it helps you achieve your five-a-day which is always a bonus! You can find some great recipes for berry and chicken salad on http://www.womenshealthmag.com/food/lunch-ideas/slide/3. And remember it can be any berry you like; strawberries are a top choice as they make it tastier and are full of antioxidants! A lot of people stick to boring tomato or chicken noodle soup for work. After all, it’s easy to make, and it’s warming during the colder months. But after a few weeks of tomato or chicken noodle soup, it can be rather dull. 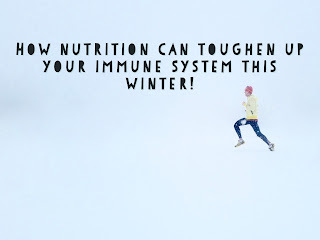 Not only this, but you are missing out on a chance to have more nutrients during the day. After all, you can add plenty of fruit and vegetables to soup. Therefore, it’s time to be more adventurous with your soup. You should consider going for something a lot more exciting such as a sweet potato and orange combination. Not only will it taste amazing, but they are such healthy essentials you should add to your day. In fact, sweet potato is a superfood which can help us to live longer! If you struggle to chop it up, you might want to look into getting a santoku knife. That way, you can quickly prepare the ingredients ready for the soup! You can find them on sites similar to http://www.cutitfine.com/santoku-knife-reviews/. And remember to get plenty of containers out when you are making the soup. After all, you can freeze them and then just take them out when you need to! 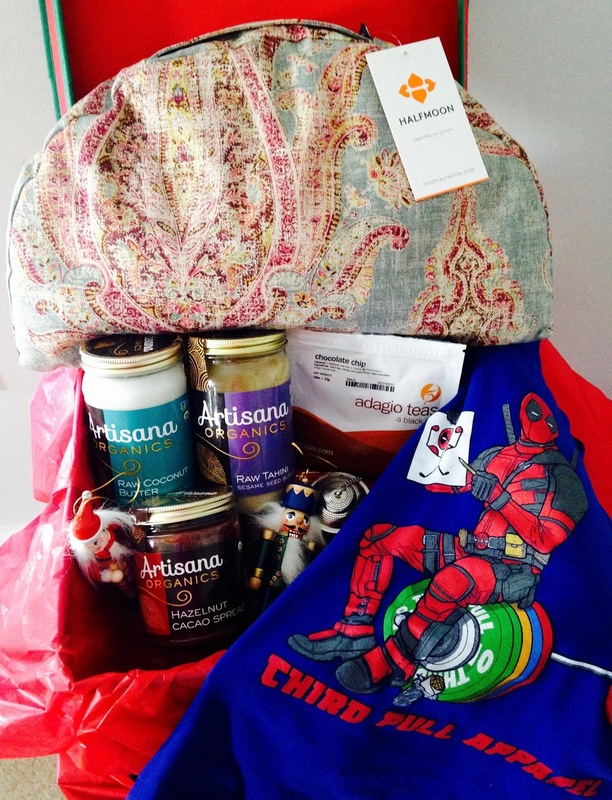 GIFTS YOUR FITFAM & FOODIES WILL LOVE! Mat Cleaner for your Yogis: I had no idea this stuff existed but I am so incredibly happy that I have it now. If you have anyone in your life who does yoga, or works with a fitness mat...get them some of this mat cleaner! 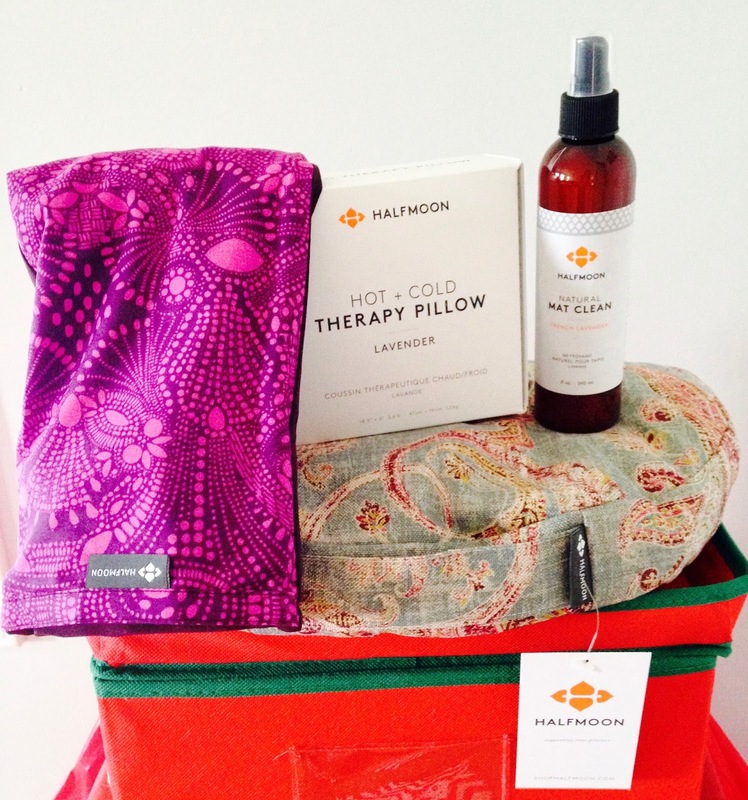 It is made with natural ingredients to keep your mat healthy and it comes in a variety of different scents (I love the French Lavender) or unscented too! Get your mat clean here! candy cane, and probably my favorite new tea: honeybush chocolate tea. Click here to get your tea! If you are anything like me, you are alway on the lookout for foods which are going to pack a punch. The fact is, it can be all too easy to get into the old routines of eating. Part of the problem for many people is that they have forgotten how to branch out. This might sometimes be because they don’t think that those other foods can really bring any benefit. Often, however, it is the case that foods provide you with many benefits which you don’t necessarily consider. Often, common everyday foods which we overlook are actually packed full of goodness. At other times, they simply provide a little boost which you might not have been aware of. In this article, we are going to take a look at some surprising health benefits of various foods. Hopefully, this will encourage you to bring in a little more variety into your diet. Let’s take a look. We all know that chocolate is delicious, but those who are nutritionally minded will usually shun it from their everyday diet. It’s true that you don’t want to include too much chocolate in your diet, of course. However, that doesn’t mean that it is all bad news. In fact, chocolate does have a couple of positive points which are worth considering. Dark chocolate in particular has the advantage of being full of antioxidants, while this is less true of milk or white chocolate. It is also good for your circulation, so long as you keep the amount down to a minimum. And if that wasn’t enough, it has been shown to reduce the risk of stroke. What’s more, taken in the right quantities, it can actually reduce your cholesterol as well. It’s starting to look like chocolate just might be your best friend! This one might seem a little shocking, but bear in mind that we are talking here about popcorn without the added salt and sugar. Cinema popcorn is unlikely to be any good for you at all. But take away the toppings and you are left with a surprisingly healthy snack. Plain popcorn includes whole grain, fiber and antioxidants, and as such is likely to work wonders on your system. Next time you are looking for a snack, popcorn is likely to be a much more healthy alternative to crisps, for example. What’s more, it also happens to be cheap when bought in bulk wholesale. This is a whole new side to popcorn which we just haven’t seen before. Of course, as with anything, there is such a thing as overdoing it. But for the occasional snack, you could do much worse than grabbing some plain popcorn. Healthy living usually involves a healthy diet full of fresh fruit and vegetables. That doesn’t mean you have to cut out everything else. That wouldn’t be healthy at all. But it does sometimes prevent you from enjoying those delicious indulgences we like to have when we’re out. To take control of the foods you put inside, you might prefer to make everything at home yourself. This can ensure maximum nutritional value, as well as complete calorie control too. But is it boring? Foodies can relax. There are so many great recipes available now for healthier versions of all your favorite indulgences. Foodies love flavor, texture, and that satisfaction that can come from the eating experience. Diets shouldn’t hinder that or inhibit the kinds of things you eat. After all, if you follow some sensible advice and good recipes, you can still bake yourself a delicious cake (maybe share it though). So what are the essentials that make up a great kitchen? If you are partial to cakes, then invest in some good cake tins. Baking with fewer fats and more vegetables can make a wetter consistency. Silicon muffin cups can be ideal if you’re baking with courgette or beetroot as a moistener. Of course, if you like to bake whole cakes, a two part tin is essential. Pick ones that can easy clean in the dishwasher. How many times have you started a workout routine only to give up before you start to see any real results? Don't worry; you're not alone. So many people end up giving up and losing motivation when they're exercising. And the reason behind it comes down to one simple truth. Exercise is hard work. It might be fun, it might be good for you, but it's hard work. And the problem with that is that it really is just so much easy to sit at home in front of the TV. But fear not! There are ways to stay motivated in the face of the all that work. One of the hardest things about staying motivated is not being able to see the progress that you're making. Putting in all that effort that doesn't seem to be doing anything can be seriously discouraging. One of the best things that you can do to avoid getting discouraged in this way is to set a goal. Make it specific as well. Something like "I want to be fitter" or "I want to have a six-pack" aren't going to do. If your goal is vague, then you're going to be vague in how you go about achieving it. Make your goal clear and specific, and include milestones along the way. Being able to tick off your goals will help you to see the progress you're making which will help you stay motivated. One of the hardest things about exercising is actually finding the time to do it. Life can be busy, and it's hard to justify prioritizing exercise over all the other jobs you have to do. The key to making time is to set up a solid routine and, most importantly, stick to it. Find a time every day that you can keep set to one side to exercise. It can be early in the morning before work or in the evening before bed. Whatever you choose to do, make sure to make it regular and to stick to it no matter what! 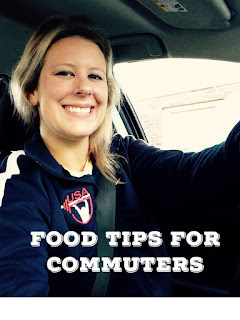 Commuter Food Number One: Foods that will get me through my scheduled meal times when I do not have a lunchbox with an ice pack. This is the good 'ole "I'm running so behind that I am going to throw a bunch of food into a plastic bag" situation. Even as a mostly Type A personality, I can't plan for everything to go smoothly so this does happen more often than I like. 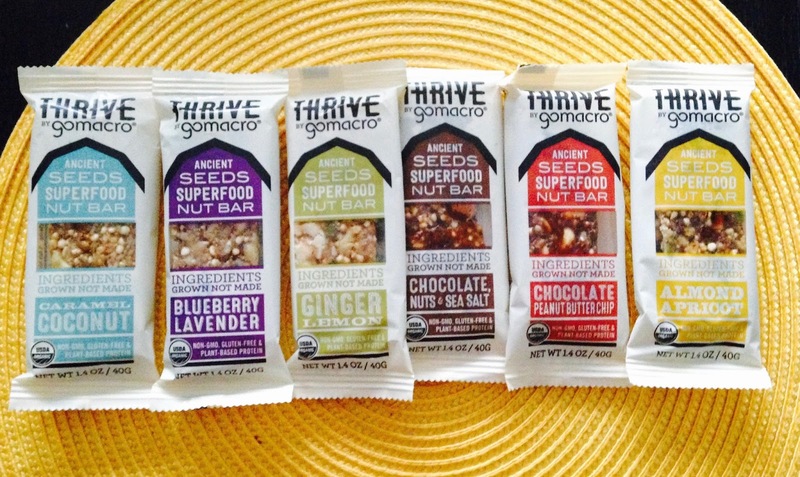 GoMacro Thrive Bars & Protein Bars. I love these bars. My favorite flavors are the Caramel Coconut Thrive Bar & the Protein Pleasure Peanut Butter Chocolate Chip Bar. 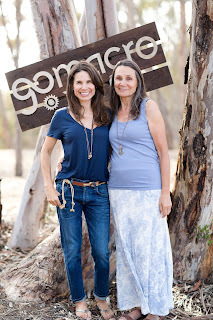 GoMacro makes really great products. I just noticed they have a sampler pack, so if you haven' tried these before- I highly recommend them. 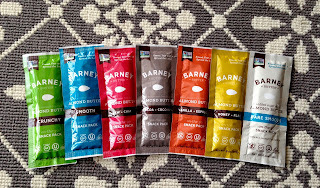 Barney Butters Almond Butter Snack Packs. These butters are perfect to have on hand and with the large variety of choices, you are definitely going to find a flavor that you love. 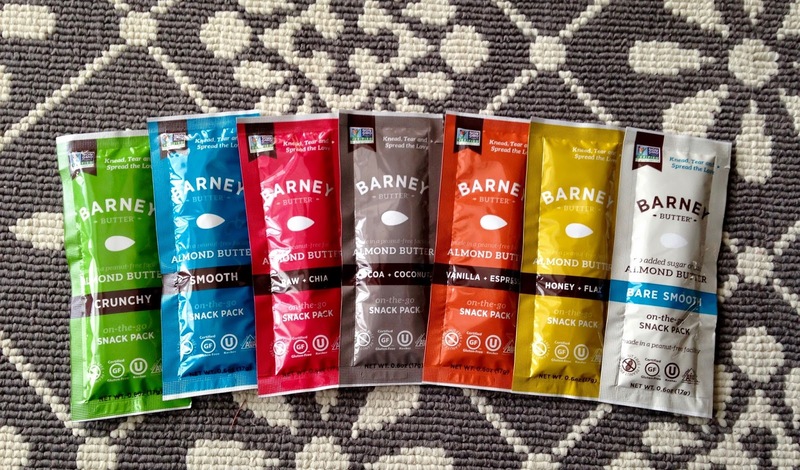 My favorite flavors are the Vanilla Espresso, Honey Flax, Cocoa Coconut, and the Bare Smooth Almond Butter. I literally have one of these snack packs in my purse at all time. Buy them here. 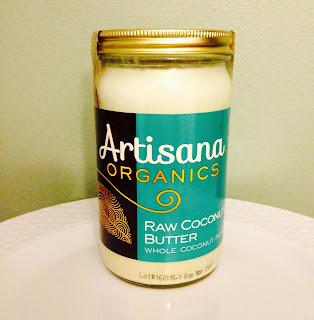 You will love these almond butters! Artisans Organics Single Serving Squeeze Packs. To be honest, I might be in love with the cashew nut butter. It is so incredibly creamy and delicious, I just love it so much. They also make squeeze packs for pecan butter, walnut butter, coconut butter, and so on. You will see me using their coconut butter & unbelievable cocoa spreads in some future recipes. Get your squeeze packs here. You have to have something to put all of those delicious butters on! I like the original, cheddar, and sea salt crackers by Glutino. They are gluten-free but have a great consistency and are strong crackers to take on the road. The original crackers with the cashew nut butter and an orange, washed down with some chocolate coconut water is my pre-workout snack on my busy driving days. Give Glutino crackers a try! Looking healthy and happy isn’t just what is on the inside, it’s how you perceive yourself on the outside. People can say a lot about how they feel based on what they wear or how they are wearing it. I remember when I took my first organic chemistry class and I asked my professor if he had any advice for the first exam and he said "Dress the part. Come in here looking like the professional you want to be and own it." At the time, I thought it was odd, but I did it anyways and maybe it did help. I came to my exam business casual instead of shorts and flip-flops and felt confident, happy, and healthy. But sometimes it’s just having a clean bright smile that’s enough to make someone think how happy and healthy you truly are. Your mouth says a lot about your health. You don’t need to be reaching for the whitening kits or having teeth replaced just yet. It’s easy to get a healthy smile by just changing a few habits and ensuring you have good dental care. With that in mind, I thought I would share some top tips to help you maintain that perfect natural smile. Brushing your teeth is something we possibly take for granted. We might not even think about the whole process that forms part of our morning or evening routine. But regular brushing for a decent amount of time is proven to reduce plaque and keep those teeth pearly white. Our teeth and mouths get put under a lot of pressure, and more food and drink these days has the power to harm or stain our teeth. So ensuring you keep on top of brushing will be the key to ensuring your mouth stays healthy and happy. The natural way. And many dental professionals have told me that you cannot brush too often, but you can brush too hard! So make sure to keep the pressure soft. Burn Through Your Cardio in Only 15 Minutes! If you’ve ever been to a gym, you’ll have noticed the rows upon rows of people using cardio machines. It’s a national pastime. But is it time well spent? Doing sprints is key to achieving the rocking bod you are after. Sprints have two important effects on your body. First, they are incredibly demanding on your muscles and your respiratory system. In effect, they shock your body into making improvements and using oxygen more efficiently. Second, sprints don’t cause your body to eat its own muscle like long cardio sessions do. It’s why sprinters manage to maintain so much muscle. If you’ve got a home gym, you do sprints on a treadmill. If you don’t have a treadmill yet, read reviews, like the Sole F85 review here. Or you can simply go to the park and do sprints there. Sprint for 15 seconds, then rest for a minute, then sprint again. Do this ten to twelve times for a killer cardio workout. Sprints aren’t the only high-intensity cardio training activity out there. In fact, most forms of cardio are amenable to increased intensity. Take the elliptical for instance. You can do HIIT on the elliptical simply by increasing the resistance of the machine. The same applies to the stationary bike. Just put it into high gear, get out of the saddle, and work as hard as you can for, say, 30 seconds. Then rest. Then repeat. 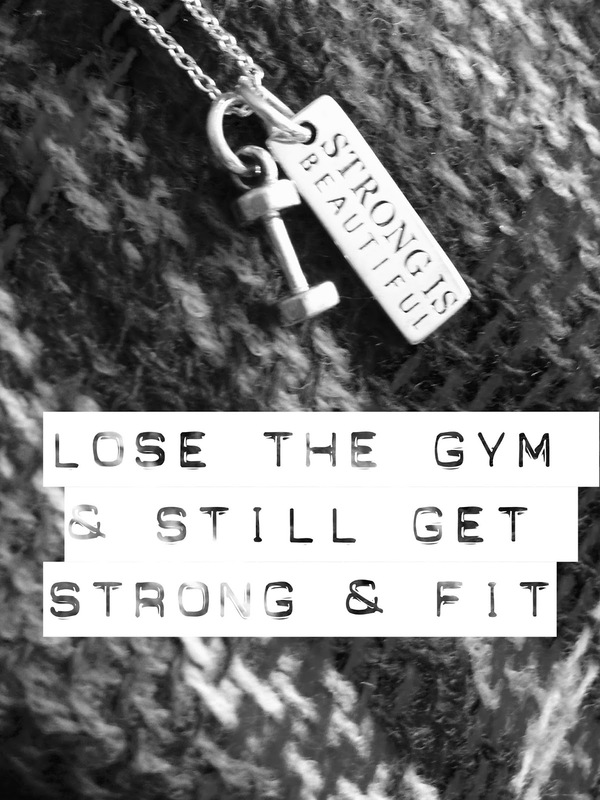 If you want to improve your fitness, you need to join a gym right? Wrong. While many people believe that a gym membership will help them get fit, it’s not the only option. Creating a gym in your home can be a fantastic alternative to joining a gym. It can help you to get fit, is more convenient and can save you both time and money. 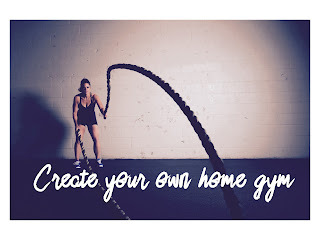 But many people overlook having home gyms because they think traditional gyms will benefit them more. So if you’re unsure whether you should cancel your membership and create a home gym, read these compelling reasons to help you decide. Personally, I love building on to our home gym. 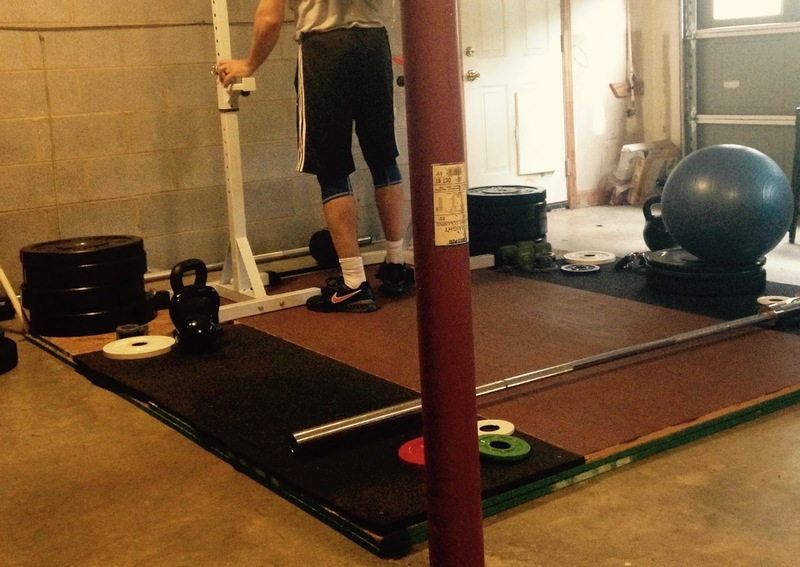 We have a weightlifting platform, kettle bells, my spin bike, medicine balls, and more. These really eliminate the opportunity to give the good ole' excuse of "I don't have time to workout". My gym is a work in progress, but I love it! Gym memberships are notoriously expensive and a waste of money if you don’t use them regularly. Whereas home gyms can help you to save money. While they do require some money up front to buy the equipment you need, they can be created relatively cheaply. You can buy only the equipment you need rather than buying everything your gym has. Sale events and second-hand models can also help you get equipment at discounted rates. Whether you love to kick a soccer ball around or simply love to run track, team-sport is one sure way to get the adrenaline pumping. Not only will you increase your heart rate, release endorphins and get the blood pumping; you'll also make new friends. A competitive edge can be a real motivator to getting fit so joining a team is potentially a great way to lose weight. And if you are a parent, this is a great way to be a role model to your children by participating in activity! Since the western world has been introduced to eastern cuisine, it seems we simply can't get enough of it. Curries, broths, noodles, you name it - we serve it. Of course, it barely compares to the authentic cuisine made by the professionals themselves. But, it is becoming a more and more common fixture in the everyday person's home due to the exciting, spicy flavours and interesting ingredients. The problem is that not many people know how to cook this kind of food in a healthy way. So many of us rely on canned sauces for our Indian curries or Chinese stir fries - many of which are full of chemicals and additives. We also skip many of the traditional vegetables that are used in these dishes, preferring to use ones that are familiar to us. There's nothing wrong with this, of course, but we could be missing out on not only amazing flavors but heaps of brilliant nutrients too. My entire relationship with food was changed once I started shopping at the local Asian grocery store. It has been amazing and exciting. 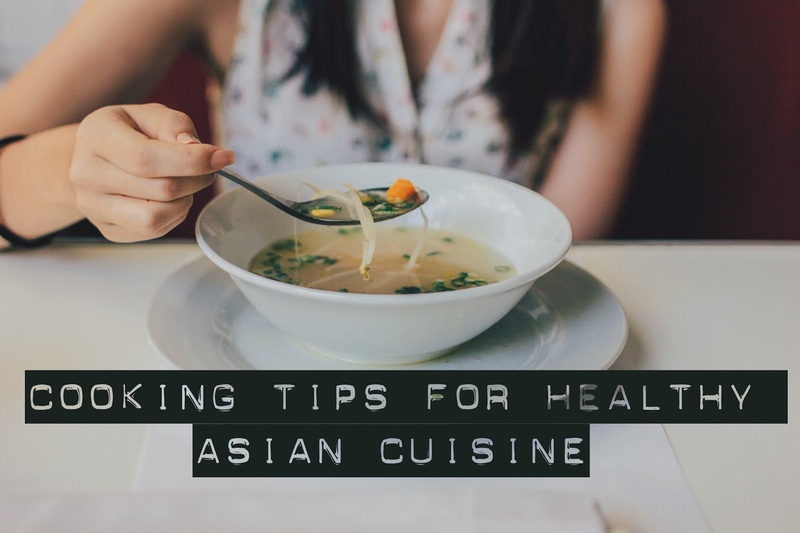 If you think that Asian food is unhealthy and should only be had as a treat, then get ready to think again with these healthy cooking tips. Curry is one of the most popular dishes in the whole world is curry. Although not known by that term in its homeland of India, there are still hundreds of different varieties that we westerners would all class as 'curry'. They differ so greatly depending on the region they come from. For example, the creamy Kerala cuisine varies greatly from the spicier Punjabi cuisine. In order to cook traditional, authentic Indian food, you must have authentic ingredients. Where we use oil or butter, Indian cuisine typically uses ghee. This is a kind of clarified butter high in vitamins A and E. If you are still concerned about the health factor of some of your Indian dishes, why not try simply cutting down on rice and naan? Many authentic Indian recipes are actually vegetarian, so bulk out your curries with chickpeas and lentils to save on carbs. Tandoori grilling is also a healthier way to cook your Indian cuisine and it tastes good too. What you put into your body is just as important as what you do on your bike. You need to eat healthily in order to ensure that your cycling efforts aren’t cancelled out by your poor diet. But, at the same time, you also need to make sure that your body is fuelled for the ride ahead. If it’s not, then you could run out of energy and burn out before you have finished your ride. That’s no good for your fitness efforts in the long-term. You should set your bike up in the right way. If you don’t do this, you won’t be able to get what you want from the bike. You won’t be able to cycle it properly or for as long if you’re not comfortable when you’re riding it. Your leg should be straight when the pedal is at the lowest point. So, adjust the saddle of the bike until that’s the case. Bicycle insurance is important if you want to make sure that your bike is safe when you’re not using it too. I have too many friends who have lost their expensive road bikes due to accidents or theft that this is a pretty great idea. 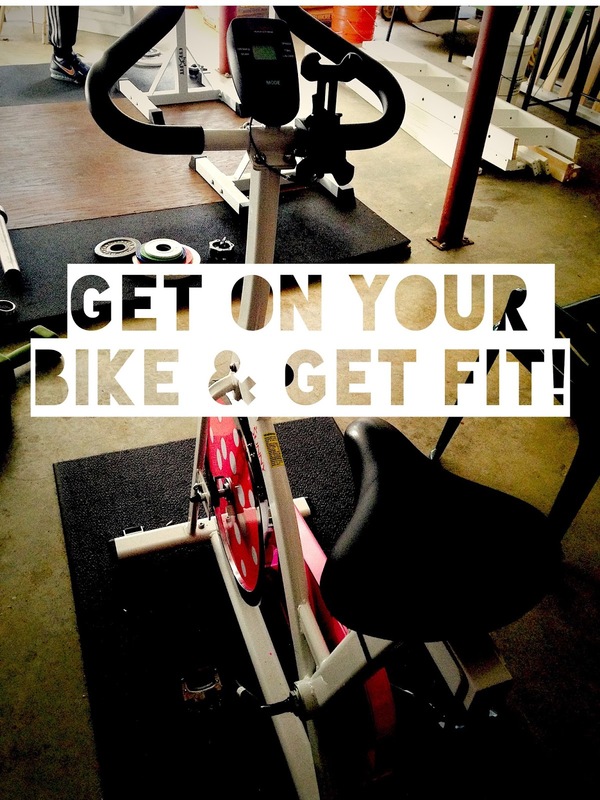 Intervals are short bursts of cycling that you should do when you’re on your bike. It’s all about changing pace and putting your body through a more intense workout for a short burst of time. These bursts of increased intensity don’t have to last for very long. It can be good to make them last for about a minute before going back to your normal cycling pace again. If you want to lose weight and improve your fitness, going at a steady pace and not changing things up won’t work as well. Instead, you need to push yourself a bit further sometimes. There are actually a lot of good youtube videos and apps out there that have virtual trainers & playlists to keep you motivated for rides either on the road or on your bike at home. While we all have a good idea that what we eat affects how we feel. It can be easy to forget that before the pharmaceutical industry, our medicines came from natural sources. At the time a lot of these things were consumed as food or drink, and we can still receive the benefits of imbibing them now. Read on to find out what they are. There are plenty of things that contain a good dose of Vitamins C like carrots and bell peppers. But did you know that Brussel Sprouts also have lots too? Well, if you are a sprout fan, then you should definitely start eating them on more than just your Christmas dinner. 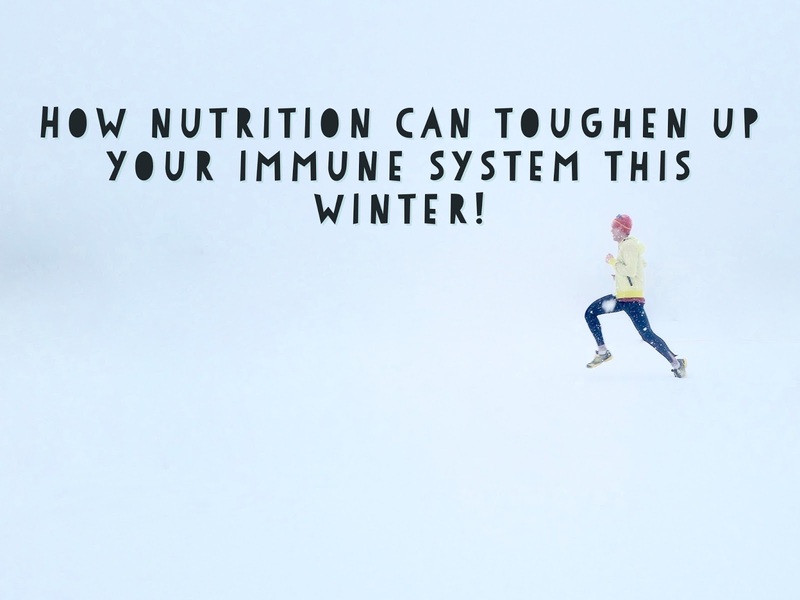 This is because getting enough Vitamin C can help boost your immunity to disease. It acts as a natural antibiotic killing off harmful bacteria in your system. I love grilling Brussel sprouts but in the winter, I often steam them. We hear a lot about antioxidant and free radicals these days but does anyone known what they actually are? Well, free radicals are the nasty things that our cells produce when they take in and use oxygen. These can be harmful your systems so we don't want too many of them hanging around in our body. That is where antioxidants come in. As we don't want too many oxidants or free radicals in our system eating foods like sweet potatoes and oysters are a good idea. They release molecules that attached to the free radicals making sure that they don't get reabsorbed by the body and cause harm. Oysters are also high in magnesium & zinc, which help boost immunity. So You're More Active...What's Next? Most of us have had some fitness aims or goals over the years. And most of us know how hard it can be to achieve them. Some people find it easier to scale things back a bit and concentrate on one thing at a time. You might try increasing the number of steps you walk or try being a little more active at lunch time. 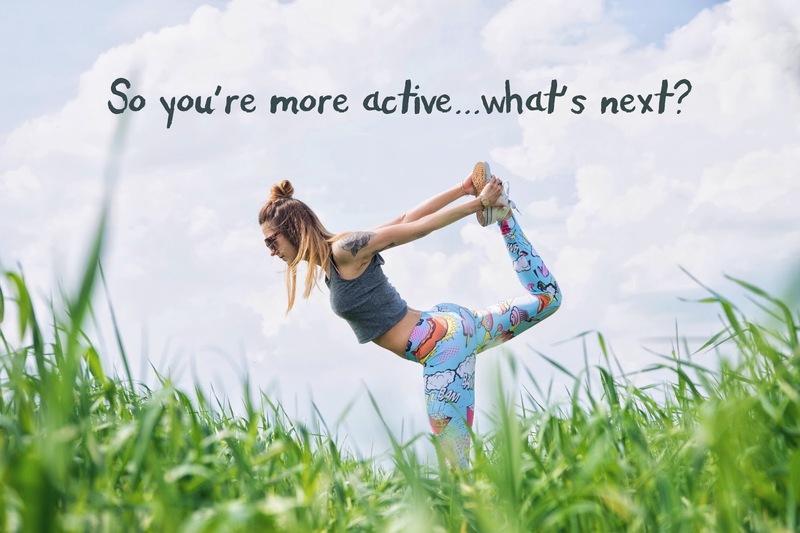 Increasing your activity is certainly one of the best ways to improve your fitness and tone up a little. But what comes next? Health and fitness go hand in hand. It’s worth considering how you can also improve your health now you’ve made those big steps toward fitness. Walking is one of those activities that can help you become more active and make you healthier. It’s not just your physical health you need to consider. Your mental and emotional health are just as important. Walking can help calm your mind, and you’ll feel emotionally well by taking in the fresh air and beautiful surroundings. 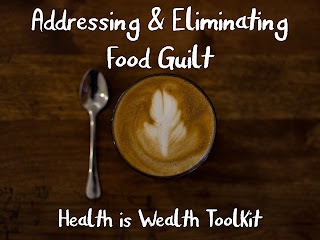 One strategy in both weight management and healthy lifestyle modification that does not get enough attention is the concept of addressing and eliminating guilty eating. Have you ever felt guilty about eating a meal before it has even been served to you? Do you feel bad whenever you eat something sweet, like a donut of piece of cake? Do you eat food that tastes bad to you because it’s “healthy”? We know that training of behaviors is possible (Pavlov’s dog for example) and sometimes we develop behavior patterns that are completely unintentional. When you are happy and eating, your body saves that information as something that brings you pleasure & positive things happen down to the cellular level in your body. When you are sad/guilty and eating, your body saves this information as something that is negative and negative things happen in your body (such as increased cortisol). Besides skin cancer, breast cancer is the most commonly diagnosed cancer among American women. In 2016, it's estimated that just under 30% of newly diagnosed cancers in women will be breast cancers. About 1 in 8 U.S. women (about 12%) will develop invasive breast cancer over the course of her lifetime. Here’s the thing, no matter what illness or disease a person may become afflicted with in life, they can fight it better if they have been following a healthy lifestyle beforehand. Being an overweight woman is a risk factor for developing breast cancer, possibly because the more the fat cells grow, the more estrogen is produced from the fat cells. That production of excess estrogen can signal breast cell growth, which in turn increases the risk of developing breast cancer. What can you do from a nutritional point of view? 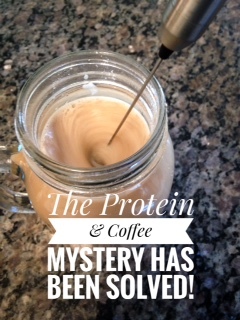 The protein powder and coffee mystery has been solved! A Vegan & Gluten-Free food that tastes good? Absolutely Yes! One of the greatest things that I have learned about following a low-Fodmap lifestyle is the incredible amount of gluten-free foods that actually taste good because I have tried many GF foods that initially turned me off from the idea of even trying to follow a low-Fodmap plan but luckily, I have been able to try quite a few GF foods that seriously impressed my taste buds. 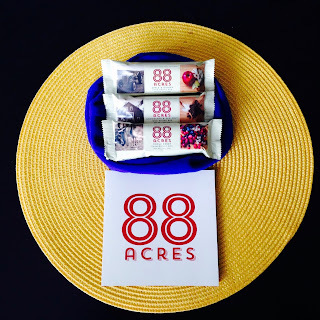 I reached out to 88 Acres because I was searching for something that I could keep on hand when I am commuting around, shuffling the kids from one place to another, or simply to satisfy my cravings without the panic of reading every food label in the convenience stores. 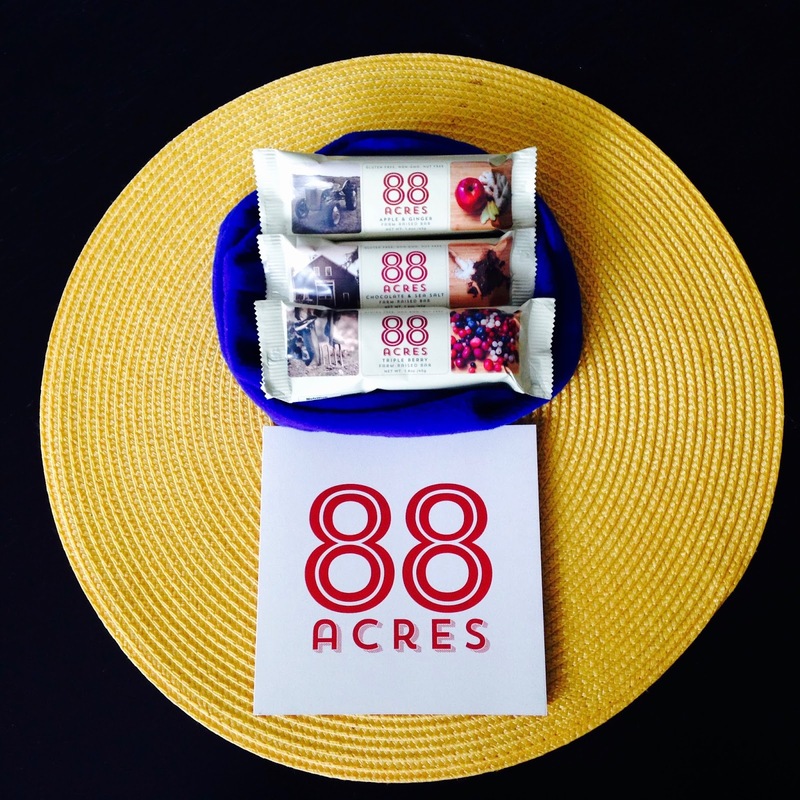 I was able to sample the Triple Berry, Apple & Ginger, and my personal favorite…the chocolate and sea salt bars. Here is the deal with these: These are handcrafted by people who have first hand experience with the dangers of food allergens. Their bakery is free of peanuts, tree nuts, wheat, soy, dairy, sesame, eggs, fish, and shellfish. These are vegan, gluten-free, and non-GMO project verified. And, I also was impressed that they mention that their bakery is latex-free. Many of you reading might look at the list of things that are not included in their foods and think “that sounds way too healthy, it must not be that good.” FALSE! 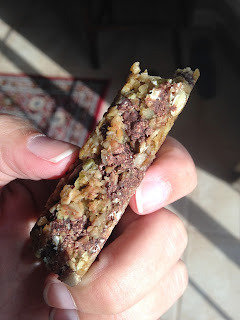 Not only are the bars really good, but also how many times have you been able to look at food you have purchased and identify the ingredients listed on the label while you are actually eating it? I took the picture of my chocolate and sea salt bar and did not use a filter so you can see that these are the real deal. No Filter. Look at the goodness! 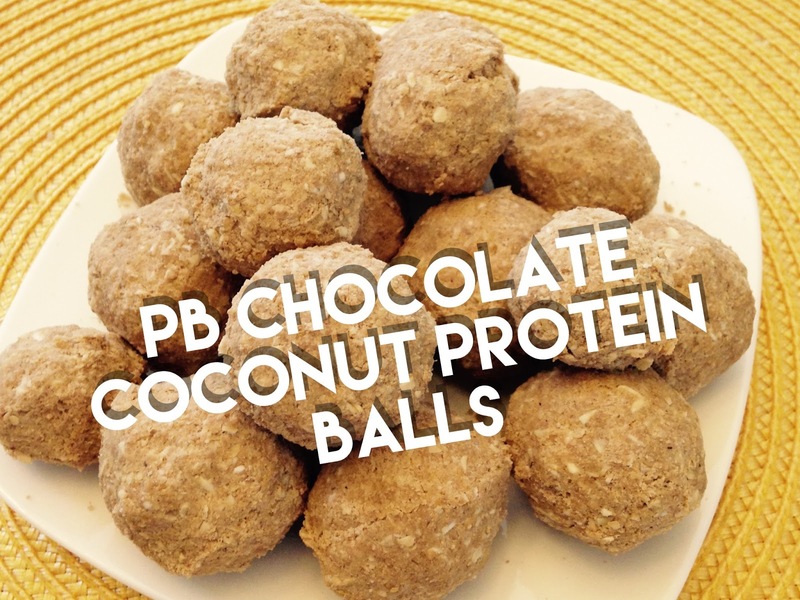 Who doesn't love to make homemade protein snack balls? I have had the wonderful opportunity to try the Paleo Pro products and I am SO impressed. In fact, I used their Aztec Vanilla protein powder in what has now become my favorite shake combination ever (1/2 frozen blueberries, 30g Aztec Vanilla protein powder & 10 ounces of coconut almond milk). I am an unbiased and honest reviewer for everything I write on this blog and can tell you, as someone who has a sensitive stomach, these products made me feel great: no bloating, etc. And OMG THEY HAVE A PUMPKIN SPICE FLAVORED POWDER! Yes, I am one of those people who loves on that pumpkin spice. Judge away. You know you want some- click here to get some. No soy, no whey, no added sugar, no gluten, grains, wheat. artificial ingredients, and so on. The cost for these products is very reasonable given their high quality. 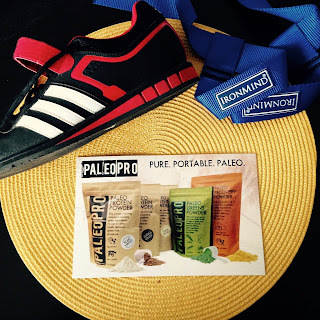 Way to go, Paleo Pro! You have a fan for life. I loved making the protein balls and was originally going to use almond meal in the recipe but am so glad I used the coconut flour because it added some great fiber content. The recipe is below- give them a try!